Scholars could do anything they liked! with their fingers! Oh, it was new! saying it at all! With holy black calligraphy! they were buried with their books. cartloads of classics on bamboo slivers. to make being buried worth thinking about! But no! This is the way I shall have it. well, I will insist on being buried with my books. lined with broadsides, and funny poems. Spend the money on a good workable lamp. pencil-scratched edition—lie somewhere about my fingers. to lie on my tongue. Put Hopkins on my chest. He won’t be heavy, he floats like hydrogen. Put that over my eyes. in your blue Yale edition. Tu Fu, Dante, Joyce, and of course Basho and Issa. That way I shall never get restless. trying to make them uncomfortable. in a place of learning and repose. “Book Burial” is a poem from my father’s “Asian Period”. It was written around the same time as “The Trash Dragon of Shensi”, and “To A Little Han Horse”. My father came from a family of book lovers and he never read fewer than three books at a time. His side table in the living room always housed a pile of the ones he was working his way through. In addition, one was always reserved for bedtime reading and two others sat at various spots in our apartment. A fourth consisted of one he read to my stepmother in the evening (they gradually worked their way through the entire series of “Jeeves The Butler” books). And while I still lived at home, a fifth involved “The Hobbit” and the “Lord of the Rings Trilogy”, which he read to me over the course of my High School years. He successfully instilled a love of books in both my brother and myself. His tastes varied from poetry to plays, murder mysteries, political topics, and everything in between. At one point he read The Double Helix, followed by my stepmom, followed by me. Then we all read In Cold Blood by Truman Capote. One of the stand outs for me was Josephine Tey’s The Daughter of Time. My stepmom read it after my father. I was next in line. In 2007, I was pleased when I managed to continue the cycle. My daughter came home from school one day with instructions to “Read a detective novel” as homework. I promptly presented her with The Daughter of Time. If you’ve never read it, it’s about a modern day bedridden detective who becomes obsessed with figuring out the truth about King Richard the Third. I figured she’d get a murder mystery, and an English history lesson, all conveniently rolled into one story! Near the end of his life my father handed me a biography of John Adams by John Ferling saying, “This is one of the better written novels I’ve read recently”. Knowing that this was high praise indeed, I brought the book home with me. He’d always been picky. All of the books listed in “Book Burial” graced the bookshelves of our Manhattan apartment and later residences. As a teenager, I remember reading some of them on lazy Sunday afternoons. We really did have the entire blue jacketed Yale series of Shakespeare. A complete collection of Sherlock Holmes stories sat nearby. One shelf held the entire Encyclopedia Britannica. My mother told me that, as a baby, I would pull books off of their lower shelves and draw in them with crayon. My partner in crime was a large white rabbit named “Bunny” who would follow and nibble the edges when I moved on to the next book. We still had those books too! The year before he died I personally went through his book collection together with him and we narrowed it down considerably. Whitman and Dickinson remained on the shelves, along with Homer, Cervantes, and all of the other authors mentioned in the poem. Since his passing, I’ve discovered that he was often in the habit of making marks or comments in the margins of books whenever there was something he particularly liked,…or disliked. Sometimes he would argue with the content, or the author. Humorously, this was even true for spare copies of his own poetry books. Ever the editor, he would cross out entire lines to make his already “finished” poems even tighter. In the end, since he’d long before made up his mind that he was donating his body to medical research when he died, an Asian style burial along with his books was not in the cards. In theory, we could have set up a sacrificial pyre, burnt his favorites to a crisp and mixed the remnants with his ashes, but he probably would have looked at that as a huge waste of perfectly good books. We decided that, given a choice, he’d have said, “Good gracious, no, please donate them somewhere!” And so that’s exactly what we did. Andrew Glaze in Miami, 1991. The table beside his favorite chair is covered with a typical pile of books. Photo property of the Andrew Glaze Estate. Andrew Glaze did translations from Russian and Spanish poets, even though he studied and spoke French. In April 1972, The Atlantic Monthly published his translation of Pablo Neruda’s poem “I Want to Turn to the South: 1941”. Later a mutual friend brought him a copy of the magazine’s page, on which Neruda had scribbled, “Andrew you did make a great poem of my poem. Thanking you, Pablo Neruda. In Algonquin, New York, 1972.” I’m pretty positive that the mutual friend was the writer and anthologist Selden Rodman. Selden featured both my father and Neruda in his 1997 book, Geniuses & Other Eccentrics: photographing my friends. Unfortunately, Neruda’s hand written note has faded a lot as he used a pen marker rather than an ink pen, and it hung in a frame on a wall for a long time, but it is still visible. I once asked my father what led him to do translations and he said, “Because I felt that I could do a better job than the ones I was reading.” By which, I understood him to mean that he found the previously existing translations to be frustratingly awkward. Later published in 1974 in Andrew Glaze’s book “A Masque Of Surgery”. Translated version © 1974 by Andrew Glaze. like the quickest fish in the waters of heaven. watchmen from the thrones of leather and timber. as though lifting his green snout hanging with waterdrops. and in his intestine sprouts the miraculous coal. which one of your ceaseless steps shall accomplish itself? guide me past the light of the hazelnut’s electricity. to die and revive gnawing at the wheat. with customers, children, loafers and dogs. will squat upon his black motorbike. shading a cloud of greasy black hair. his hollow cheeks are withered. naked gums and two teeth. and skipped away with a dozen cases of his beer. He shrugs, sniffs, and nails up a network of two by fours. rubbing his white fuzz of hair. with a sort of benediction. slams the gate and sets the burglar alarm. many a night at 4 a.m.
and float like a wraith around the corner to set it again. like quieting a restless, sleepless child. This poem is a description of life just outside our Manhattan apartment at 803 9th Avenue and 53rd Street. We arrived there in 1962, and left in the early 1990’s. Our former neighborhood still goes by the nickname of “Hell’s Kitchen”, but by the ‘70’s it contained a blend of theater performers, artists, and Puerto Rican and other ethnic groups as residents, restaurants with lofty goals, the sound stage for the TV soap opera “All My Children”, an off Broadway Theater called the Cubiculo, and a music studio where singer Carly Simon oten recorded. Our narrow 5 floor walk-up building had two apartments on each floor and ours was the entire right side of the 2nd level. Immediately below us was a store front that changed renters every few years. By contrast, Garcia’s store was a bodega below our neighbor’s apartment. The burglar alarm went off frequently, seemingly for the sheer joy of it. The store was tiny and looked like it had been there since the dawn of time. The merchandise consisted of Hispanic menu ingredients, cans, milk, bread, and fruit that was well on its way to becoming compost. Cigarettes, cigars, and beer comprised the major part of Garcia’s sales. In the summer the door to the store stayed open, Garcia was always up for a chat, and a local group of drunks would assemble to socialize just outside his doorway. The sound of laughing voices would drift up to the windows of our living room where my father had a desk and a typewriter. When we approached to enter or exit the building, they’d apologetically move their crate seats out of our way. Scrawny, and smiling, the most creative of the drunks was named Gene. His occasional requests for financial donations had humor. “Hey, Irish, can you spare a quarter? I’m starting to sober up!” was his method of addressing my teenage brother. When we first moved into our apartment, the store below us housed a Puerto Rican barber named Benny. Whenever my parents sent my brother downstairs for a haircut, he’d leave looking like one of the Beatles, and come home looking like Charlie Brown in Peanuts. We concluded Benny only knew one haircut. “When I was a kid growing up in NYC, there were a lot of Puerto Rican immigrants in the neighborhood, along with a lot of little Hispanic newspaper/magazine stores and “bodegas.” I used to stop at one such store every Monday morning on the way to school, with my allowance in my hot little hand, to buy baseball cards. I started noticing a little book hanging up by the cash register titled, “The Dream Book.” I became fascinated by this book, which was $2.00, assuming it to be a manual of dream analysis, wherein I could find out what my dreams meant. I had heard that dreams had special meanings, and I thought for sure I would now be able to find out why I once dreamed that an alligator peed on me — but that’s another story. I had no clue what this was about, but I knew it had nothing to do with MY dreams. By the 1990’s, the original Latino flavor of the neighborhood was fading. As the bodegas closed they were replaced by Korean fruit markets and new higher priced stores. More and more young professionals arrived in the area and rent prices rose accordingly. Our former building still stands firmly in place, but currently the stores below it have merged into one large and trendy Mexican restaurant. I say, let there be more Christmases! I have this terrible hunger for festivals! We have let something away from the world. out of rocks and paper with tasting and smelling. by a hand hot from the fire. Now we miss that forge-dream of prophecy. New joys have only to be invented. in his name or any other name. Tribune Magazine, UK, December 25th, page 9, 1970. 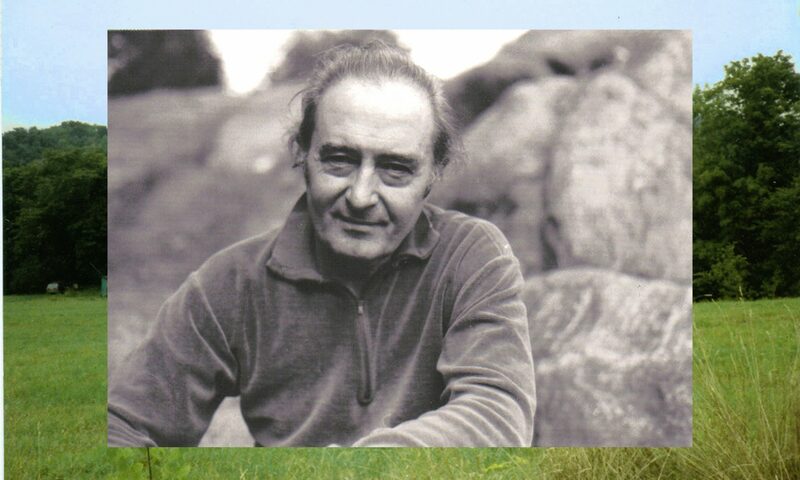 The fact that the poem was published in a British magazine is not surprising as he worked for the British Tourism Authority and had poetry friends and fans in the UK. As for the poem, I came across it on the internet in 2011. I’d never seen it before, and I’ve never seen copies of it elsewhere. This is not surprising, because it was written in 1970 while I was living abroad, and over the years my father downsized his paperwork by archiving his past work at the libraries of Harvard and the University of Alabama, Birmingham. When I found the poem online, it was part of an archived magazine and the entire page, including the poem, was miniscule. Fortunately, the text of the poem was printed beside it, and punctuated, but the sentences were broken up into odd segments and parts. It took me awhile, but with the help of a magnifying glass, and the knowledge that my father would have found my situation extremely funny, I finally managed to piece the poem back together. This is it in its original state. Had he been around to comment, self-depreciating as ever, he’d have chuckled and said, “Thanks Sweetie, I’m highly flattered that you think it was worth the effort”. Photo from December of 1959, Property of the Andrew Glaze Estate. L to R: Dorothy Elliott (Glaze) Shari, Peter Glaze, Elizabeth Glaze, Andrew Glaze, in our Greenwich Village apartment on Bleecker Street. The photo was taken by a friend or family member, but I have no memory of who. My artistic work using spray snow is visible on the window. We look pensive, because we were listening to Peter trying to talk to us at that moment. Now it has been caught. for his own on Mondays. They led him with milk. He is the eater of garbage for a whole prefecture. as the Trash Dragon of Shensi. does he buzz a little, throb a little like a train. weaving their legs and heads. But he no longer believes in flight. He has accepted his silken attachments. of fish bones and broken squash pods. If Picasso had a “Rose”, and a “Blue Period” for his paintings, then my father went through an “Asian Period” for his poems. In the ‘70’s and 80’s he periodically dabbled in writing Haiku poems and owned several books in that style of poetry. He took great pleasure from one or more large coffee table books on Asian Art around this time, and loved a newly acquired statuette of a little Hahn Horse so much that he eventually wrote a poem about it. Years later, when it was thought that the statuette was lost during a move to Birmingham, he shed tears. In a twist of fate, in 1978, when his book The Trash Dragon of Shensi was about to be published, they needed artwork for the cover design. At the time, my brother was dating a Fine Arts Major from Brown University, named Kate Rivingston. By happy coincidence, dragons were a favorite art subject for Kate, and so she became the cover artist for the book. Ten years later, in 1989, she also became my sister-in-law. Poet Madeline Kumin later said that this poem was a favorite of hers, and in 1978, the entire book received a rave review in The New York Times from writer Peter Schjeldahl. “Trash Dragon” is probably the closest my father ever came to writing a fable or fairy tale. My poems, you are damned ugly children. your scabby hook noses, wall eyes and crab feet. and I’d only half lie. I mean what do I care what they say? as having business with their war of traffic. I was making you for someone to talk to. dressed in long rainbow-colored questions. She was the only prophet I ever thought much of. we shall never give up our old secrets, god knows. to give to myself for a birthday present? © 1963, ’64, ’65, ’66, Andrew Glaze, from his book Damned Ugly Children. Damned Ugly Children was my father’s first major book. Poetry Anthologist Oscar Williams was the original force behind the decision for Simon & Schuster to print it in their Trident Press division. They did so with very little expectation of selling many copies of the book. Then, to their shock, The New York Times gave it a rave review, the American Library Association gave it a Notable Book Award for 1966 and libraries around the country and abroad ordered copies. Insiders from the Pulitzer Prize organization told the publishers that the book made it to their final decision rounds for the 1966 Book of Verse prize. In the end, poet Richard Eberhart won that year. Ironically, he was the same person who wrote the rave review of Damned Ugly Children for The New York Times a few months earlier. Suddenly the world went crazy and my father was in demand for interviews everywhere. Reporters from around the country were contacting him, and the first tongue in cheek question they all asked was, “Are your children really ugly?” In theory the reporters all knew that the title poem was actually referring to my father’s poems, but that depended on whether they’d read the title poem or not. When he couldn’t stand it any longer my father came home one day and asked me to find wallet photos of my brother and myself. His response from that point on was to whip out the photos and allow interviewers to decide for themselves. One day my father was contacted by another “Andrew Glaze” visiting New York City from out of state. They had different middle initials, but his namesake wanted a signed copy of the book to put on his coffee table as a conversation piece when visitors came. The cover of Damned Ugly Children was by famed commercial and graphic artist John Alcorn. His career was at a high point during the ’60’s through 80’s and among other things he designed posters for Fredrico Felini movies. The design he create for my father’s book was inspired by a poem titled, “Cats” on page 34. However, by far the most interesting link between my father and his book “Damned Ugly Children” was that of Fant Thornley, the Director of the Birmingham Public Library system between 1953 and 1970. I have no idea how they originally met, possibly through family, possibly through my father’s former job as a reporter, possibly because Fant was also a writer. In 1964, Fant arranged a special exhibit when my father did a joint venture of poetry and art titled “Poems / Lines” with Colombian artist Umaña. The oversize artisan hand printed pages were displayed in a large glass display case just inside the entrance to the library. When Damned Ugly Children was published in 1966, and the American Library Association loved it, it was a match made in heaven. Fant created another exhibit to showcase the new book at his main library building in downtown Birmingham. Sometime in 1966 Fant Thornley visited us at our 9th Avenue apartment. He was on a business trip to Manhattan and I think he came to dinner. In any case, I remember meeting him at some length. He died a few years later in 1970, at home, of a heart attack. So imagine my astonishment in 2011, when I typed “Fant Thornley” into Google one day on a whim, and learned that Fant now haunts the Birmingham library Linn Henley Building where he worked for twenty years. Reports have him using the elevator late at night. Several random people have reported seeing an apparition of him, and multiple people swear they have smelled his signature Chesterfield cigarette smoke in parts of the building when no one else was around. Fant has become a legend in Birmingham history, and the man who once indexed books is now the subject of books himself. I happened to visit the Linn Henley building a few years ago. Originally the main library building, it is now where the library archives are stored. I was amused to see a very large portrait of Fant Thornley placed in a prominent location. I can’t remember why, but I immediately had the impression that everyone is quite fond of his memory and whispered “Hello Fant” as I walked past at one point. If my own reaction is anything to go by, it would probably explain why his ghost is perfectly happy to stick around. In 2015, my father was still alive, he was the Poet Laureate of Alabama, his latest book was recently out, and he’d just been inducted into the inaugural class of the Alabama Writer’s Hall of Fame. That autumn, the Birmingham Public Library organized an exhibit titled, “Days of Glaze”. It showed highlights, photos, and Birmingham links in my father’s career as a writer and poet. The exhibit was in a new building, built after Fant’s days as Director, but the glass display cases were probably the same ones he’d used. Some of the items in the exhibit had no replacements, and yet I somehow felt confident that, from his world or ours, once again Fant would approvingly keep an eye on it all for us. Damned Ugly Children‘s cover design by famed commercial and graphic designer John Alcorn. Copyright Simon & Schuster publishers 1966. Press release photo, used on the back of the jacket cover of Damned Ugly Children. Photo by Susan McCartney. Copyright 1966, by Simon & Schuster.